*Universidad Rey Juan Carlos de Madrid. Paseo Artilleros s/n. Madrid 28032, España. Fundamentos de Análisis Económico. Email: hamid.hamoudi@urjc.es. **Universidad Rey Juan Carlos de Madrid. Paseo Artilleros s/n. Madrid 28032, España. Fundamentos de Análisis Económico. Email: isabel.rodriguez@urjc.es. ***[Corresponding autor] Universidad Rey Juan Carlos de Madrid. Paseo Artilleros s/n. Madrid 28032, España. Fundamentos de Análisis Económico. Email: marcos.sanz.martinbustamante@ urjc.es. This study analyzes optimal zoning policy in a duopolistic spatial competition framework for both circular and linear spaces. A regulator is introduced in the third stage of the price-location game through a welfare function to model zoning preferences from firms and consumers. An equilibrium outcome is then found for both spatial configurations. When the regulator is inclined to favor consumers (consumer-oriented) both firms are restricted to locate at one point to serve the whole market. Nevertheless, when the preferences of the regulator are biased towards firms (firm-oriented) the zoning area is maximized, with both firms being located at the market boundaries. 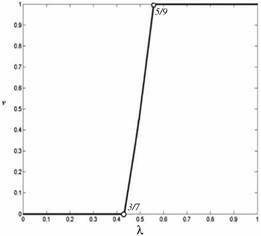 The equilibrium outcome confirms location patterns found in real life situations under a non-neutral regulator. 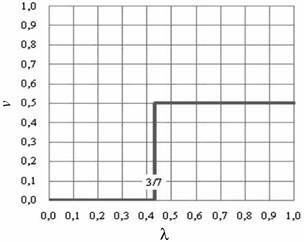 Keywords: Zoning; spatial competition; welfare function; equilibrium results; industrial policy. Este estudio analiza las políticas de zonificación óptima en un marco de competencia espacial duopolística para los espacios lineal y circular. En la tercera etapa del juego de localización-precio se introduce un regulador que optimiza una función de bienestar que formaliza las preferencias de empresas y consumidores. Se obtiene el resultado de equilibrio para ambas configuraciones espaciales. Cuando el regulador se siente inclinado a favorecer a los consumidores (orientación al consumidor), ambas empresas restringen su localización a un mismo punto para atender el mercado entero. Sin embargo, cuando las preferencias del regulador están sesgadas hacia las empresas (orientación empresarial) se maximiza el área zonificada y ambas empresas se sitúan en los extremos del mercado. Este resultado ilustra ejemplos reales en presencia de autoridades reguladoras no neutrales. Palabras clave: Zonificación; competencia espacial; función de bienestar; resultado de equilibrio; política industrial. In this study a regulator designing an urban area divides the space for two uses: an exclusively residential area for consumers (residents) and a hybrid area where consumers and firms may locate. The aim of the regulator when restricting certain areas is to provide a high-quality environment, reduce trouble and reduce local crime. Cities and urban contexts provide many real examples of externality effects from firms on the rest of society. In some cases public intervention may become an internalization mechanism for negative externalities such as pollution or lack of residential space. Regulators may decide on the size of the restricted area depending on different factors. For instance, historical cities with a well-preserved city centers sometimes introduce specific regulations for firms locating in the old town area. Authorities may seek to preserve quality space for residents and tourists in order to obtain political influence (i.e. votes from residents) and welfare gains. Furthermore, coastal cities relying on income from tourists may control the number and location of firms near the beach to keep it clear and prevent excessive noise or pollution. The location of shopping centers close to ring roads around big cities such as London or Madrid is a strategic choice which may be influenced by zoning restrictions. Many large cities in the world such as México D.F, Paris, London or New Delhi are using zoning as a policy tool to regulate traffic (i.e. restriction of car access to city areas or any other type of zoning). These types of policies effectively crowd-out firms through regulation by forcing them to locate their activities in unrestricted areas. Zoning may, therefore, be a useful tool for urban design or industrial policies; nevertheless, it may have adverse effects when wrongly implemented. Thus, non-regulation and free entrance may be optimal in terms of welfare under certain assumptions. However, when zoning is implemented authorities need to find regulating instruments (i.e. strategic location choices) which enable them to reduce harmful external factors efficiently. Authors like Mills (1989), Henderson (1991), Miceli (1992) and Wheaton (1993) have shown that zoning may become an interesting urban planning tool. This study focuses on the design of regulation in a duopolistic framework which includes a regulator with alternative political profiles. Spatial competition models provide strong insights to study zoning policies. One of the most widely extended models in this field is Hoteling’s (1929). There are two crucial assumptions in the original setup depicted in the model: i) firms compete in a duopolistic framework; ii) consumers are distributed uniformly along the market space. Both premises are too restrictive to explain certain equilibrium patterns -for instance: endogenous location of consumers-. Thus, Hotelling’s model and some of its premises have been reconsidered to encompass a higher number of location patterns. On one hand, when the model is expanded to an oligopolistic competition framework to allow entrance of more than one firm a strong version of the minimum differentiation principle holds. In fact, Economides (1993) finds that equilibrium in location does not exist in Hotelling’s linear model when the number of firms is increased to three or more. The reason is that firms have a strong incentive to approach the center but no equilibrium exists where the whole market is served. When boundaries in the space location (i.e. linear case) exist, equilibrium ceases to exist. However, for the circular case equilibrium is reestablished as boundaries disappear under this spatial configuration. Another strand of models is developed for the analysis of equilibrium outcomes under non-simultaneous location of firms. Neven (1987) considers a sequential entry of firms in a differentiated industry within a Hotelling model where firms choose location (product) with subsequent price equilibrium. His findings show that early entrants locate first, impeding later competitors to locate between them. Several sunk costs are identified corresponding to different natural market configurations so that equilibrium may be found for two or more firms. The sequential entry competition dynamic is extended by Gupta (1992) to a more general framework by assuming perfect foresight from firms. By modelling a Stackleberg game for the location of firms Anderson (1987) offers an alternative explanation: equilibrium occurs with the first firm locating in the center whilst keeping higher profits than the rest. This outcome is coherent with the entry-deterrent and monopoly solutions. Lastly, Pu-Yan Nie (2011, 2013 & 2014) and Yang & Nie (2015) consider the influence of other variables such as search costs to explain location patterns -i.e. industrial clusters- in low transportation cost frameworks. A regulator may be introduced in spatial competition framework by specifying a third stage in the location-price game. Since authorities serve the interests of consumers and firms it is common to define a welfare function as the sum of surplus for both economic agents. However, we use a social welfare function formalized as a linear combination of the firm’s profit and the utility for consumers1 (Hamoudi & Risueño, 2012). This welfare function is interpreted in terms of the profile and interests of the public authority. Research on spatial competition introduces the role of the regulator by focusing mainly on optimal firm location, regulated zone dimensions, pricing, land usage2 and social welfare effects. For instance, Lai & Tsai (2004) examine Hotelling’s linear city model with restrictions on the location of firms. They show that maximum differentiation holds under Bertrand competition and social welfare is improved. Tsai et al. (2006) analyses how zoning affects the location of firms and the rents derived from land. Chen & Lai (2008) investigate the effects of symmetric zoning in the linear city, finding that firms locate in equilibrium at the extremes of the zoning area under Cournot competition. These authors conclude that introducing a regulated zoning area can be welfare improving. Matsumura & Matsushima (2012) study a duopoly model with restrictions on the location of firms. Their objective is to analyze the effects on consumer’s welfare. The model shown is related to the issue of urban sprawl in order to determine the allowed dimension of economic activities. Hamoudi & Risueño (2012) consider the effect of zoning regulation in duopolistic circular model with Bertrand competition where consumers and firms are situated in different geographical zones within a city. They show that the optimal size of the shopping area depends on the regulator’s political profiles. Furthermore, Hamoudi et al. (2015) complete the analysis of the location of firms by studying different specification for transportation costs to establish an equivalence result for convex and concave transport cost functions. The authors show that only a concave specification yields equilibrium. The rest of this article is organized as follows: Section 2 develops the circular model while Section 3 focuses on the linear model. In both cases, the model is first depicted in order to determine price-location equilibrium and under optimal zoning policies. Each part concludes with specific remarks on the effects of regulation over competition. We study a location model where a regulatory authority is responsible for the design of an area within a unitary circular space. 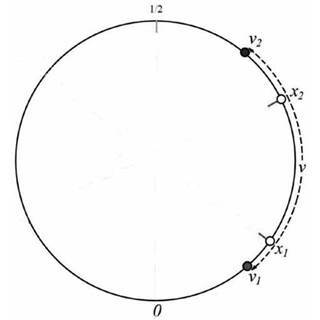 Any point in the perimeter of the circle corresponds to a number from the interval [0,1]. The southeasters’ point is 0 and we move anti clockwise from there. Points 0 and 1 will therefore coincide. The planner divides the circle in two regions: the first one is a commercial area bounded by points v1, v2 such that 3where firms and families locate. The second one is the residential area where only families locate (see Figure 1). There are two firms located at x1 and x2 such that and selling the same good in the commercial area at prices p1 and p2 respectively. where the distance between location consumer x and the location firm xi, is defined as the shortest distance on the circle between the two points x, xi. outcomes are found to substitute in the profit function of firms. In addition, demand for firm 2 is: D2 = 1 - D1. Once consumer demands are found, the profit functions can be calculated using the following relation: para i = 1,2j = 1,2 for i ≠ j . In the circular model under zoning regulation, the location pattern satisfies the maximum differentiation principle: We observe that if v2 − v1 = 1/2 , the location equilibrium remains the same as in the circular model without zoning (i.e.De Frutos et al., 1999). Therefore, zoning half of the circular market does not affect the location strategies of firms. The intuition behind the maximum differentiation result is straightforward: firms locate at in order to avoid competition and reap some spatial monopolistic rents. The demands are equal and independent of the size v. Thus, zoning does not affect the structure of demand in the location equilibrium. Prices and profits are also equal to each other and they are increasing in v.
If the regulator chooses a large value for v, competition decreases. Therefore, if firms were able to decide on their location, they will always be interested in the commercial area to be as large as possible in which case, v = 1/2. On other hand, the regulator can force both firms to undergo more competition which could eventually yield to zero profits. Indeed, if v tends to zero, prices and benefits will also approach as both firms engage in Bertrand competition. Subsequently, zoning regulation can be seen as an industrial instrument to limit firms’ monopoly power. Given that the location pattern in this zoning model still satisfies the maximum differentiation principle, the purpose of a regulator is to find the dimensions for a commercial area and an exclusively residential area. λ is the weight given by the regulator to firms. Thus, (1 - λ) accounts for the weight given to consumers. , is the surplus from consumers. S is gross utility from consumers. CT (v) means total transport cost paid by consumers. I1 corresponds to total transport cost paid by consumers when they buy the good from seller 1. I2 is the total transport cost paid by consumers when they buy the product from seller 2. Where are indifferent consumers in terms of buying from firm 1 or firm 25. When the regulator seeks to minimize the total transport cost for consumers (i.e. their disutility), λ = 1/2 in the objective function. The optimal size for this case is v = 1/2. is decreasing and reaches a maximum for v equal zero. In contrast to firms, consumers are interested in a minimum size for the mixed consumers- firms area which then turns into a single point, thus, v = 0. The price of the good is equal to zero for this value and transport cost reaches a maximum. Consumers pay a high price for transport cost but are compensated by a zero cost for the good. The intuition for this result is illustrated by the fact that consumers travel massively (i.e. underplay direct transportation costs) when a free good is offered. When λ >1/2, the regulator favors firm’s interest over consumer’s. However, when λ <1/2, the opposite happens. If λ = 3/7 , social welfare remains constant and independent from the size of the commercial area. The regulator has no a priori preference on the dimension of the commercial area. is their preferred result. In this case, firms separate away from each other (i.e. dispersion), locating at the endpoints of the interval. We can observe that a firm biased regulator, , reduces total utility for consumers and improves profit for firms, . The horizontal axis shows the value of parameter λ whereas the vertical axis shows the value of parameter v. The thick line refers to the optimum size of the commercial area. The optimal solution v*, supports the popular view on the effects of the behavior of the authorities given their preferences. As in the circular case, a regulator may restrain the production area to the segment (v1, v2). Inside this interval the location of firms is given by (x1, x2), so that 0≤v1 ≤ x1≤ x2≤ v2≤16. Consumers also distribute uniformly among the linear city of length one [0,1] where the areas [0, v1) y (v2, 1] are only residential. Again, this model is set up as a three stage game. In the first stage, a regulator chooses the size of the commercial area. In the second and third stages firms simultaneously decide on location and price. where the distance between the location for consumer x and the location of firm xi. In order to compare profits between the firms is calculated. Given the equilibrium locations: , the firm closer to the center of the commercial area obtains higher profits. Under symmetric zoning, v1 + v2 = 1 firms obtain the same profit. The regulator has no a priori preferences for any of the firms since both are private profit maximizing entities. In turn, we focused on the study of optimal zoning for the commercial area in the symmetric zoning case where: v1 + v2 = 1 . The last stage of the game for given prices and locations in equilibrium is then solved. The optimal size of the commercial area is determined by restricting the study to the symmetric case in which v1 + v2 = 1, where v2 - v1 = v.
Prices and profit, therefore, depend on the size of the area, v. Firms ideally prefer the maximum size for the commercial, v = 1.
. This is an identical result to the optimal social value stemming from the unrestricted linear city model seen before. Due to the above argument, consumers are interested in the size of the commercial area being reduced to a single point, v = 0, which involves firms locating at exactly the same point: The price of the good is equal to zero for this value but transport cost reaches a maximum. Therefore, it is worth for consumers pay high transport costs since that will mean a null price , for the good as in the circular case. Similar to the circular model when the regulator is firm-biased and (3/7 ≤ λ≤ 1 the total utility for consumers decreases and U(1 / 2) < U(0) . Firm’s profits improve in this context: B(1 / 2) > B(0) . Again, the optimal solution v* in the linear model, supports the popular belief on the behavior of the authorities. In this article we analyse spatial competition in a regulated market where consumers locate freely along the market space, whereas firms are obliged to locate in a restricted area. We study the influence of regulation on competition in a circular space and then extend the analysis to a linear space. This article contributes to the spatial competition literature by providing a framework to investigate the role the regulator plays on the location pattern of firms. A specific functional form to model the behavior of the regulator is interpreted in terms of the values of the parameters. Equilibrium results are then shown to highlight similarities in the behavior pattern of firms, regardless of the specific spatial configuration. Interestingly, a concave specification for transportation cost yields equilibrium outcomes. This type of approach is fruitful from two perspectives. On one hand, equilibrium for both different spatial configurations can be categorized in terms of dispersion/agglomeration. This interpretation offers insights for urban policy. Given the weights the regulator places on consumers or firms, different location patterns will emerge from the location and price behavior of firms. Zoning may, therefore, become a useful tool from the perspective of urban policies and city planning. This is particularly relevant given the increasing role of cities -i.e. smart cities- in the economies of emerging and advanced countries. On the other hand, these results can also be scrutinized from an industrial policy perspective as minimum or maximum differentiation cases. A regulator may, under these premises, exert influence on the location of firms to supply key markets. Zoning may turn into a useful tool for industrial policies. The political-economy issue of re-industrialization may be analyzed in light of the regulator bias towards firms of consumers. As a consequence, the results obtained for both spatial configurations can be interpreted in terms of the redistribution of welfare. It is proved that a regulator influences location patterns of firms, affecting the structure of the market. In this respect it can be stated that strong competition is triggered in the consumer-biased regulator case whereas weak competition arises in the case of a firms-biased regulator. For a neutral regulator we find moderate competition. These results contribute to establish theoretical support to understand the role of regulation in spatial competition. *We thank the editor of Estudios de Economía and two anonymous reviewers for very helpful comments and suggestions on the original manuscript. This article has received financial support from: “Proyecto de Excelencia Investigadora: Análisis Económico de Políticas Públicas (URJC-BSCH)”. 1 Such weighted approach was defined by Baron & Myerson (1982) whereas Armstrong et al. (1994) used it to describe a welfare function. 2 See Fujita & Thisse (1986). 3 Here, it is not necessary to consider 0.5 ≤ v1 ≤ v2 ≤ 1. 4 An indifferent consumer, α buys from firm 1 or 2 so that; u1(α) = u2 (α). 6 Lai and Tsai (2004) comment on this type of zoning, nevertheless, they do not analyse it. In contrast, these authors, study the linear city model in [0, 1] by assuming the area [0, z) to be only residential. and for , a maximum is reached for .